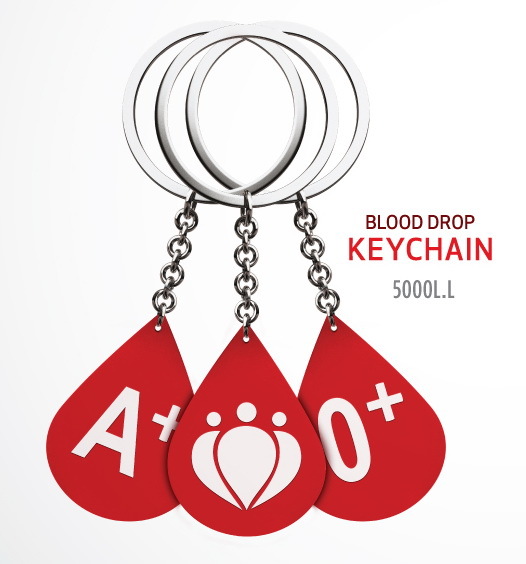 Many of you have been supporting us during the last few years by wearing our bracelets or carrying our key chains with their blood type, and even sending us some wonderful proud shots that we were able to share all over our social media platforms. To date, we’ve sold thousands of them, and we’ll continue to do so as long as there are people among you who wish to support our cause! The only place you can get our merchandise from is Malik’s Lebanon. The bookshop’s branches are widely spread across the Lebanese territory, and you’ll simply find them around every corner! How to locate the nearest Malik’s Lebanon branch? All you have to do is head over to www.maliks.com, and click on “Our Locations” to the right on top of the screen. What merchandise are we selling there? We are currently selling 2 versions of our bracelets there. Our old “blood brother” and “blood sister” bracelets, which can be tied using a “double pêcheur” scout knot shown here, and easily tightened or loosened. 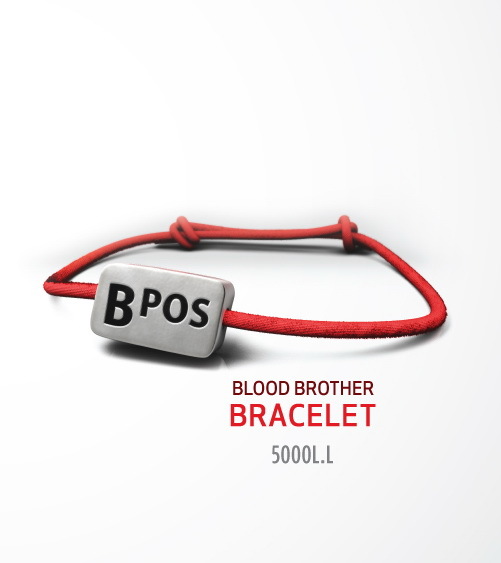 On one side the blood type is displayed, while on the other you’ll find our logo. These bracelets are sold for 5,000 L.L. each and are blood type specific. Our new bracelets are made of ribbons that you can tie, come in many colors and hold messages related to the cause. They cannot be tightened nor loosened once placed around the wrist. These bracelets are sold for 5,000 L.L. each and are not blood type specific. Our key chains are not sold at Malik’s anymore. We have run out of stocks and we’ll be updating you whenever they become available again. These key chains were sold for 5,000 L.L. 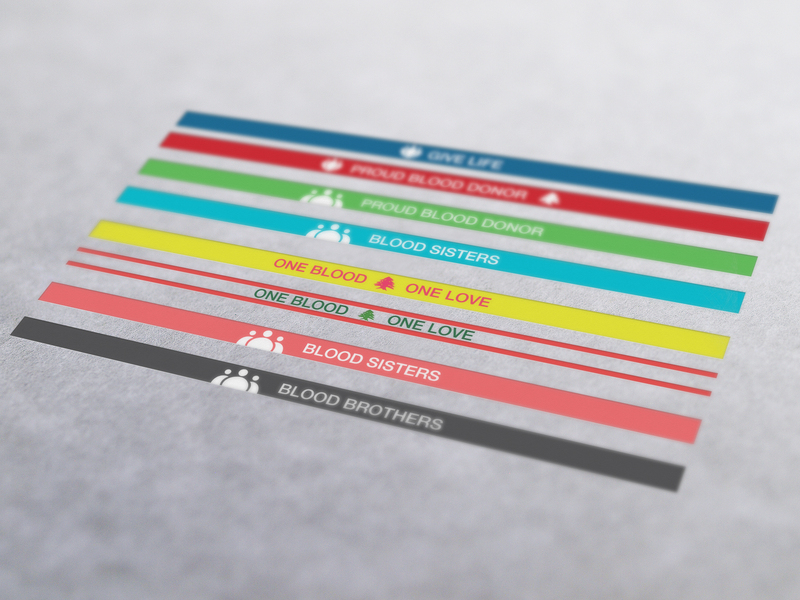 each and are blood type specific, with the logo of our NGO displayed on the other side. We would be super glad to know when you buy our merchandise, so notify us! How? All you have to do is take an artistic picture of your bracelet/key chain and send it to us over our social media platforms in a private message. We are available on Facebook, Twitter and Instagram. Thank you dear fans for your awesome support and a special thank you goes to Malik’s Lebanon for this fantastic fruitful collaboration. We are super proud to have you as a partner! ← 986 Blood Units Collected In 20 Blood Drives Between March And April!